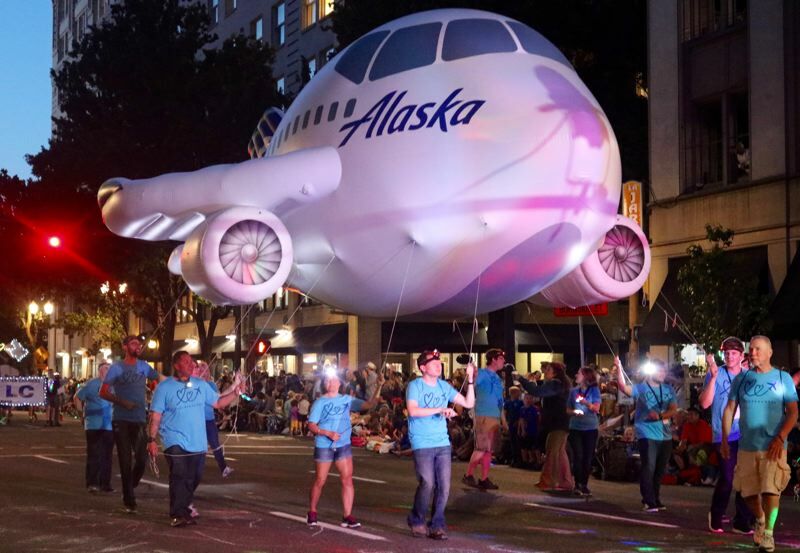 Some 300,000 watch illuminated floats during Portland Rose Festival event on Saturday, June 2. At the end of the day — and through the nighttime too — it was all for the crowd. "The energy of the parade, and the people," exclaimed Royal Rosarian Joyce Dougherty, "It's fantastic!" "The crowd just loves it," noted Dre Wollrabe, a snare player in the David Douglas High School band. "It's going to be huge this year," the junior with a white plume in a red hat predicted. "Some kids don't know what it is. Others just have a freak out," said Chris Almy, a telecom engineer from Hillsboro, standing next to a shiny silver DeLorean, its iconic double doors spread like an eagle's wings. Plenty of adults have a "freak out" too, he admitted. 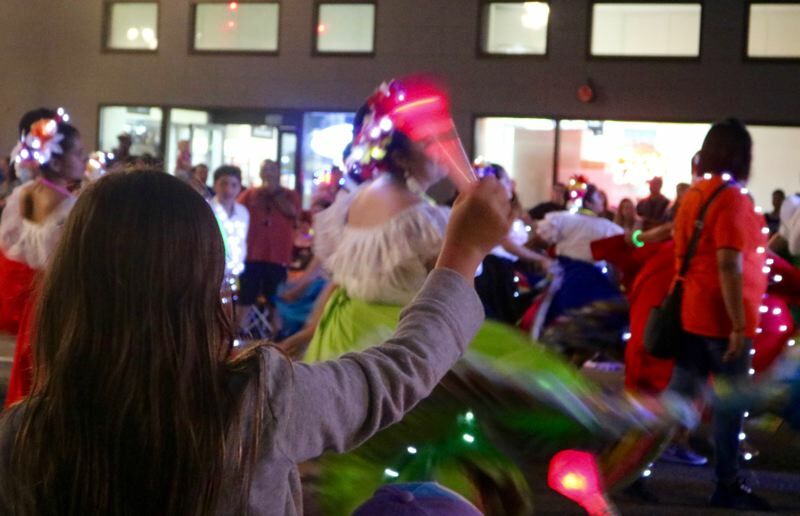 Organizers said some 300,000 spectators were expected to line Burnside, Salmon, Washington and Taylor streets for the 2018 Starlight Parade in downtown Portland on Saturday, June 2. 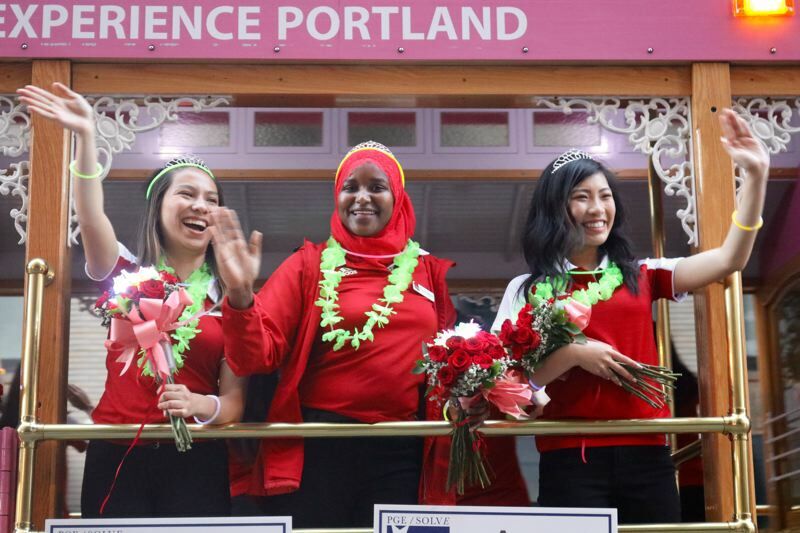 The Portland Thorns team, 2017 National Women's Soccer League champs, was the grand marshal for the parade. You could almost believe just as many stomped along the 2.25-mile route, accompanying the parade's 100-plus floats. Here you could spy clowns and cheerleaders, mail carriers and sailors, DJs and dancing dragons and Mr. and Mrs. Santa Claus. And that's not even mentioning Commissioner Amanda Fritz, the trade unionists, "Star Wars" stormtroopers, soccer stars, firefighters and football players and pilots and princesses and zombies. "One, for the fun of it. Two, this is just the first parade I've been in," explained Jessie Ramirez, a 14-year-old undead shambler in a shredded suit jacket. Caitlin Turner said she spent six or seven months working on her "Star Wars" themed Mandalorian mercenary costume, complemented with twinkling lights she bought at Grocery Outlet. 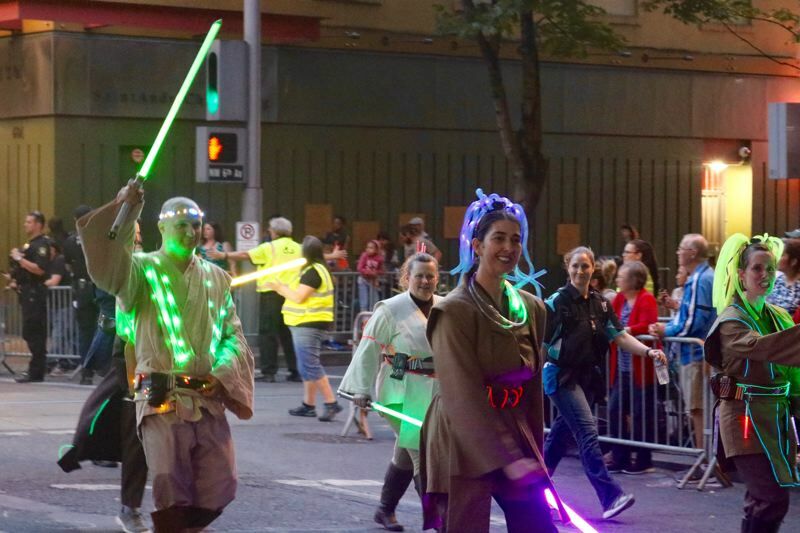 The Gresham resident marched with the 501st Legion and the Rebel Legion, a fan club with almost 2,000 members in Oregon. "For me it's fun," Turner said. "I have a degree in technical theatre and I really like to make things." 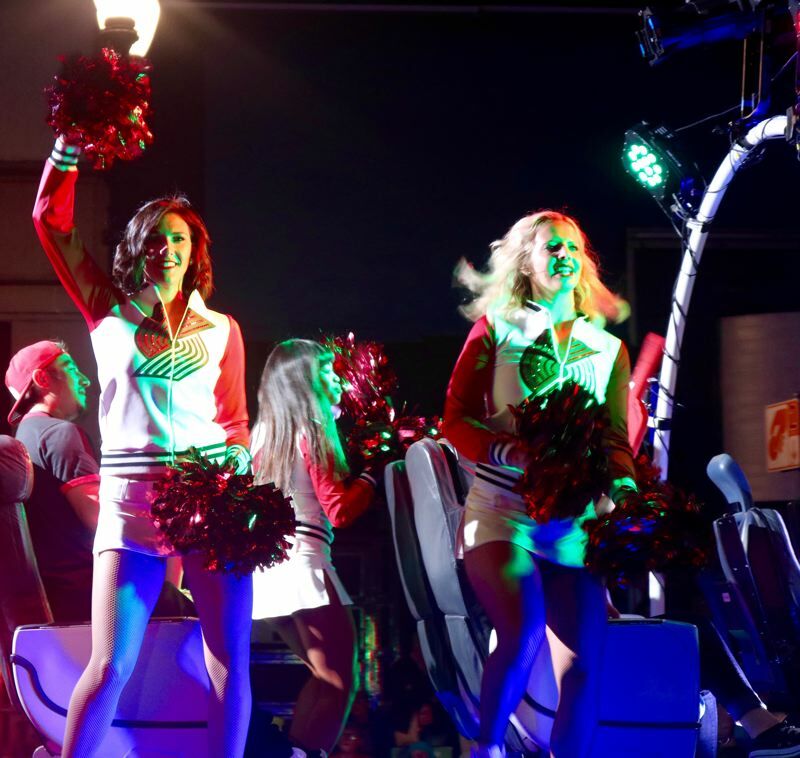 The parade kicked off at 8:30 p.m. and the lampposts clicked on around 9 p.m. — hardly necessary thanks to the glow-in-the-dark floats, roving spotlights and illuminated participants deck out in Day-Glo, neon and holiday bulbs. Marchers made their way along the car-free thoroughfares for hours, pausing briefly only for interweaving MAX trains and TriMet buses. After the last stragglers passed by, a flotilla of street sweepers picked up the dust and debris. 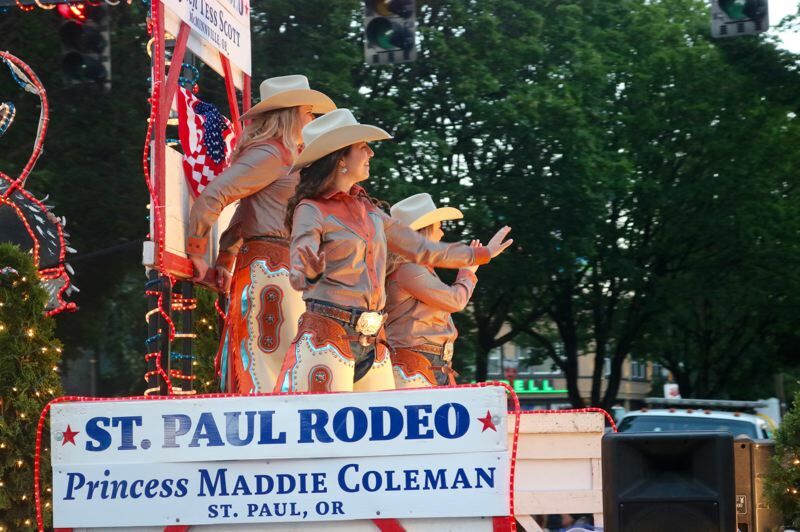 Clackamas High bass clarinetist Kaylie Ragsdale was returning to the Starlight Parade for her second time after a gap year. She said the difference in temperature was certainly appreciated. "That was the year it was 100 degrees and we didn't wear our hats," the senior commented, gesturing to her black beret. "The only thing that stops us (from practicing) is a thunderstorm, because metal instruments. Great conduits." Ragsdale wasn't the only one in uniform, though Chief Petty Officer Matthew Zimmerman's outfit lacked the musical marcher's bright burgundy cumberbund. "We like to be a part of the community," the U.S. Navy recruiter said. "We're actually quite famous for our involvement and spirit of community," added Capt. Jeffrey Sabo, who has ferried passengers for Alaska Airlines for nearly 22 years. "We dig the kids, we dig the fun." "It's the highlight of the year for the court," said Terri Jones, representing the West Linn Old Time Fair. 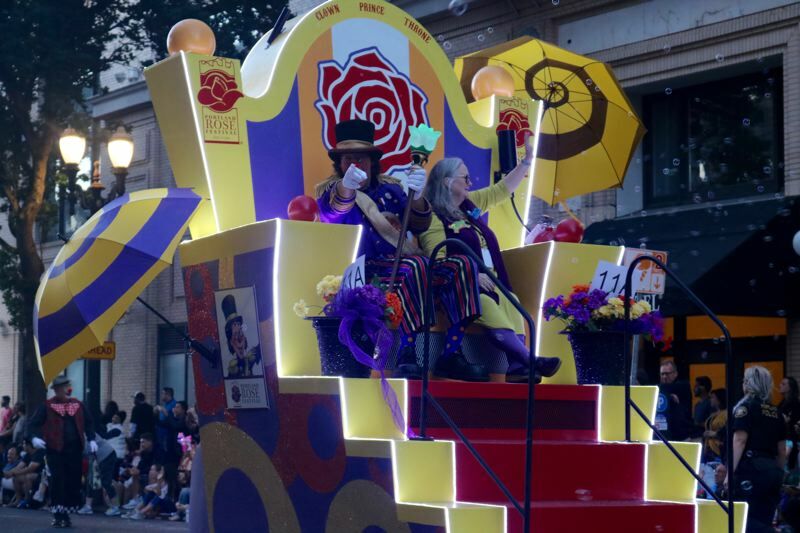 The Starlight Parade, which is sponsored by PGE and SOLVE, is part of this year's weekslong Portland Rose Festival. An annual tradition for the last 40 or so years, the parade harkens back to a time when the city's electrified trolleys made their way through downtown during a special event in the early 1900s.